“The last time I was in New York City, I visited the Sept. 11 memorial for the first time. The memorial has a peaceful yet commanding presence. It serves as both an aching reminder of what stood there before and an overwhelming tribute to those who lost their lives on that day. One of the things that struck me most at the memorial was the Survivor Tree. The tree was discovered about a month after the attacks, severely damaged with snapped roots and burned and broken branches. Today it stands with multiple ties stabilizing it and a barrier around it so it is not disturbed as it heals. As one of the only living things to survive at Ground Zero, it is a beautiful reminder that life can (and indeed does) come out of death. You may not look quite the same as you did going in, but alas, life, hope and faith can find you again. Thanks be to God for that! Above was Friday’s (March 6) God Pause devotion. 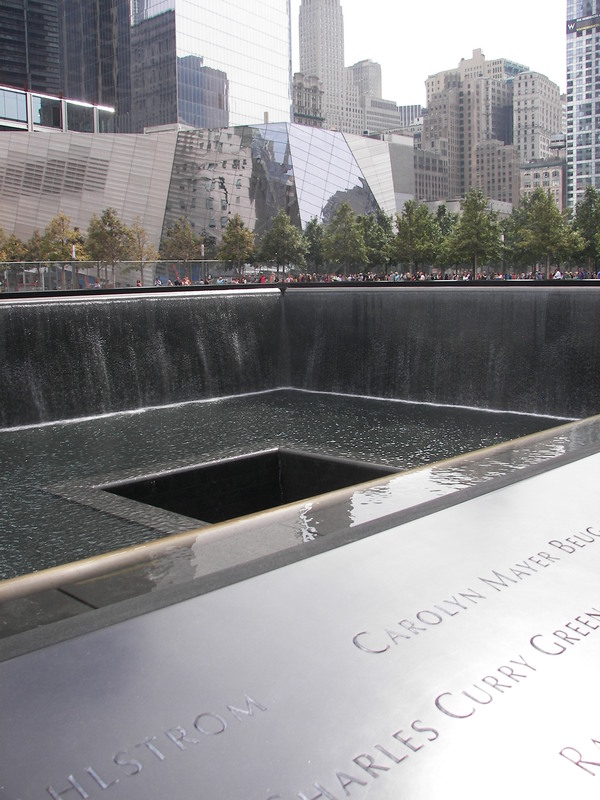 Like Ms. Pedersen, I visited the Sept. 11 memorial for the first time in late 2013. I felt it a huge honor for me to be on that site. My emotions overtook me, as they do every Sept. 11 when I pause to consciously remember the horror of that pretty September day in 2001, quickly turned dark and frightening. Isn’t the power of being a Christian that I don’t have to be afraid? That doesn’t mean God expects me to never fear. He understands my weak, sinful nature. But for Christians, death holds promise. The promise of eternal life with God because He gave His Son to die for us. That is what we reflect on during Lent and celebrate on Easter Sunday.